A motorcyclist from Connecticut was killed in a recent car accident with a Massachusetts teen driver in Charlemont. According to the Boston Globe, the accident happened as the teen driver crossed over the center line on a city highway and ran right into the motorcyclist. The two were heading down Route 2 at roughly 4:00 p.m. when it happened. The Northwestern District Attorney’s office says that the motorcyclist died later that night in Springfield at the Baystate Medical Center. The young driver was given a criminal citation for negligent operation and failure to stay in marked lanes. Massachusetts State Police are investigating the accident. Additional charges are pending the outcome of that investigation. 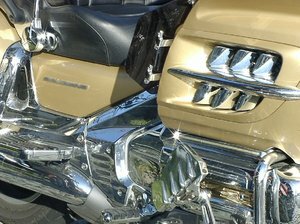 Our Quincy motorcycle accident lawyers understand that there are about 6 weeks left in the summer season. This is the time when motorcyclists are out in force. It’s also a time when these motorcyclists face some of the highest risks for accidents. Unfortunately, many of these accidents produce fatal results as these vulnerable motorists aren’t provided with the same protection as passenger vehicle occupants. All they have is the clothing on their back and hopefully the helmet on their head. In the state of Massachusetts, there were nearly 100 motorcyclists killed in auto accidents in 2007. Nearly 100 percent of these motorcyclists were wearing a helmet at the time of the accident. More than a third of the motorcyclists who were killed returned a blood alcohol concentration (BAC) of 0.08 or higher, meaning they were riding while drink. Younger motorcyclists are at greater risks too, as more than half of the motorcyclists who were killed in 2007 were between the ages of 20- and 39-years-old. To help to keep motorcyclists safe, the Massachusetts Department of Transportation (MassDOT) is here to offer riders with some live-saving tips. -Always assume a driver doesn’t see you. Practice defensive driving habits. -Make sure you wear a DOT-approved motorcycle helmet. -Wear bright clothing so that motorists are more likely to see you. -Always drive with your headlights on. Use your high beams over your low beams. -Stay out of driver’s blind spots. -Check out weather and traffic conditions before heading out to help to ensure smooth travel. -Never share a lane with another vehicle. Drivers may not expect you alongside their cars and may not be aware of your presence. -Always use your turn signal before making a maneuver in traffic. -Consider enrolling in a motorcycle safety course to help to brush up on your skills. -Adjust your speed to compensate for the current traffic and weather conditions. -Do not cut off other drivers. Safe and defensive driving habits may be your best bet against a potentially fatal accident. You can’t rely on the safe driving habits of other drivers. You need to take responsibility of your own safety! If you or someone you love has been injured in a motorcycle accident, call 1-877-617-5333 to set up a free initial consultation to discuss your rights.